Skype for Business is a web conferencing platform that enables high-definition web conferencing, screen sharing, and instant messaging. This page provides links to documentation, video tutorials on how to use the software’s many functions, and information on how to download the desktop version of the Skype for Business software. NOTE: ITS provides basic support for Skype for Business. The information on this webpage is provided as a courtesy to the USC community. If you require additional assistance, please contact IT support for your school or department. Follow the instructions on this screen to download and install the latest version of the Skype for Business client available for your operating system. 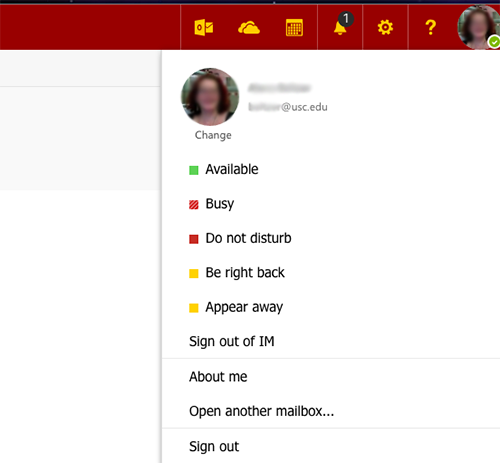 NOTE: This web-based version of Skype is not available to USC students at this time. For additional information on using the features of Skype for Business, see the Skype for Business section of the Frequently Asked Questions about Office 365 page. Microsoft.com and lynda.com video tutorials on using Skype for Business can be found on the Office 365 Video Tutorials page. For assistance with Skype for Business, please contact the ITS Customer Support Center. 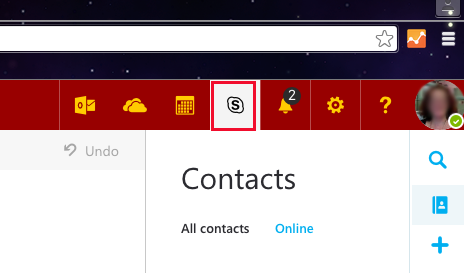 Skype for Business is a free service that is included as part of your ITS-provided Office 365 account.